Hello Rotary Alexandria Central! 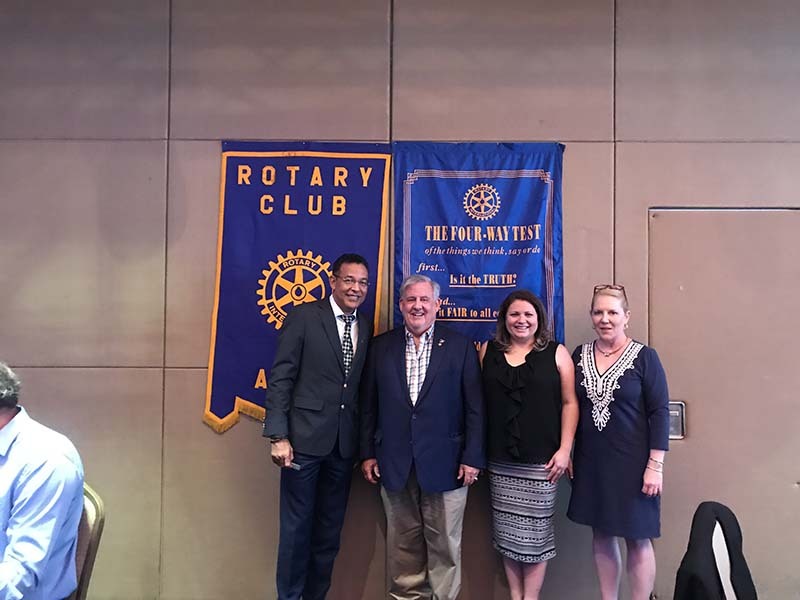 Tonight we visited the Rotary Club of Aruba. They are an 80-year-old club of about 50 members. They meet for dinner every Monday at the ballroom of the Alhambra Casino. We met old friends that we see every year, and sadly each year we find out who died since the last time we were there. They inducted two new members. They are about to have their first woman club president. When we first started visiting them 15 years ago, it was an all male club. The Rotarians at our table were intrigued by the concept of our new, diverse, family friendly club that meets at a sports bar. They thought it was very positive, innovative and very American. A Rotaract leader did a presentation about their upcoming walk to raise money for polio eradication. It will take place in October. Here’s a photo of John with the club president.